perform better in all subject areas. Find out about our services, methods, and results achieved over a decade of tutoring. Since 2004, we have been helping families with their educational needs. We are more than passionate about our students’ success. 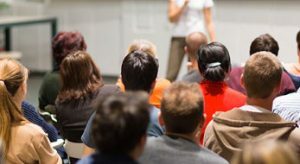 Connections Learning Center is presenting a FREE workshop on Wednesday, May 1, for parents of children with learning disabilities. 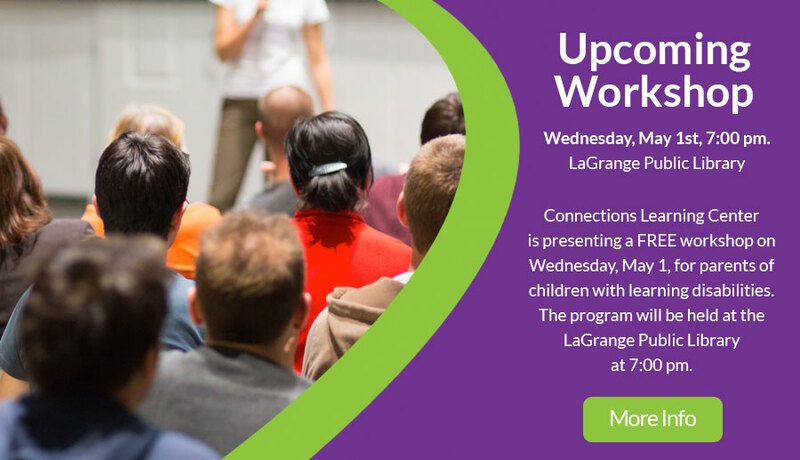 The program will be held at the LaGrange Public Library at 7:00 pm. Connections Learning Center offers alternative educational therapy, as well as tutoring in various subject areas. What makes us different than our competition? Brain training! Find out what many clients have already discovered: the brain can be trained to learn information faster, retain it better, and improve performance in all arenas. To determine the needs of every student who walks through our doors and find a way to address those needs. We are solution oriented and we get results. We provide one-on-one instruction with o highly trained clinician and are continually looking for the most effective and efficient strategies and programs. 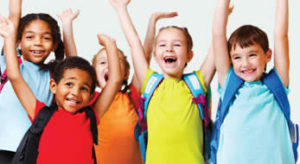 Our mission is to help every student who comes to Connections become as independent and successful a learner as possible. What Connections Learning Center has done for my son over this past summer is nothing short of a miracle…….A+++++ recommendation from this family! The Wilson Reading program had my 5 year old daughter reading within weeks. Both my 4 yr. old and 5 yr. old have been doing The Listening Program, at home for over a month now. The tantrums my younger one used to have regularly have stopped and she is communicating more with me. A neighborhood gem..much more than tutoring.